Ukraine should hope the turnout will not exceed 30 per cent. 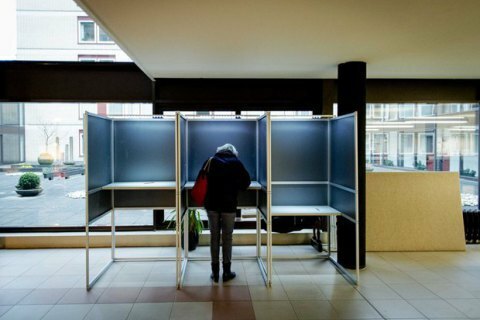 An exit poll by Ipsos has found that the turnout at the Dutch referendum on the EU-Ukraine association agreement was about 29 per cent (+/- 3 points). The majority of polled voters, 64 per cent (+/- 5 points) said No to Ukraine's associate membership of the EU, while only 36 per cent said Yes. The advisory referendum will be considered validated if the turnout reaches 30 per cent. The Dutch government, which is presiding in the EU, has already signed the agreement but its ratification was delayed, as Dutch eurosceptics previously collected the necessary number of votes for a consultative referendum on the approval of the association agreement between the EU and Ukraine. If the Dutch vote against Ukraine's associate membership of the EU with a turnout of at least 30 per cent, the Dutch government could take their opinion into consideration.